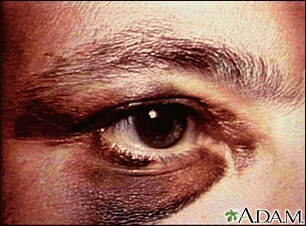 A black eye is caused by bleeding into the tissue around the eye. This most often follows trauma. The medical term for this type of bruising is ecchymosis.